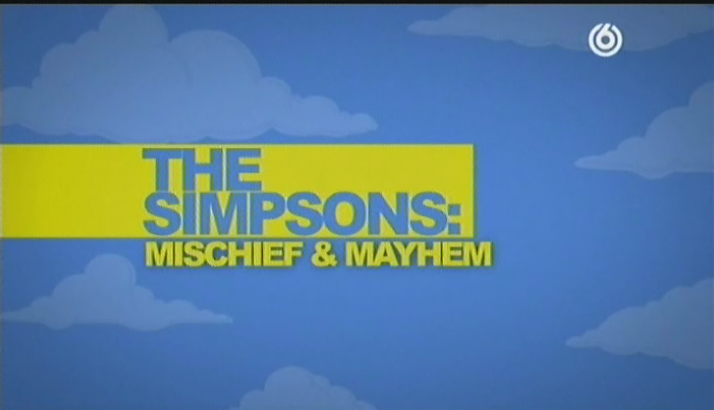 The Simpsons: Mischief & Mayhem is a Sky 1 program to celebrate the Simpsons 20th anniversary. Narrated by Ricky Gervais, the show talks to celebrities who consider the controversial storylines in The Simpsons and how the show has tackled subjects ranging from politics to sexual orientation and ethnicity. it also looks at the merchandise available over the years and the people who collect it. It aired on January 12, 2010. The documentary interviewed Al Jean, Christina Ricci, David Mirkin, Elliott Gould, George Takei, Hugh Hefner, James L. Brooks, Joe Mantegna, Kiefer Sutherland, Matt Groening, Mike Scully, Nancy Cartwright, Plácido Domingo, Simon Cowell and Tony Hawk. Modified on August 2, 2015, at 06:24.